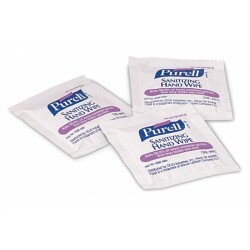 Hand wipes are a great product to keep around to provide fast removal of dirt and grime. With a powerful cleaning formulation, sanitising wipes can help prevent the spreading of bacteria and germs. For use on both your hands and surfaces, this selection of products are easy and efficient to use.